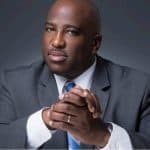 Shawn Dove has lived a life of extraordinary public service culminating with his current position as the CEO for the Campaign for Black Male Achievement. His organization has invested over $200 million in Black male achievement since its inception in 2008 engaging nearly 1000 leaders. Shawn started life being raised by a single mother. He left that life when John Simon of the Dome Project challenged him to fulfill his potential. That sparked a beginning to a life in pursuit of his calling. While he was in a sales job after graduating college, he knew he was destined for more. He took a leap and begun work as a social entrepreneur working successively at the Dome Project, the Harlem Children’s Zone, The National Mentoring Partnership and ultimately with billionaire George Soros where he began leadership for the Campaign for Black Male Achievement. It was birthed in the Open Society Foundation before it was spun out into its own organization. This led to many awards for Shawn including Black Enterprises BE 100 Modern Men of 2016 and a meeting with President Obama. In that meeting, he inspired the President to begin his foundation and legacy effort called My Brother’s Keeper. The organization focuses on exploratory grantmaking, philanthropic partnership development, and strategic planning, which has helped narrow its strategic focus to three areas that profoundly shape the life outcomes of black males—education, family, and work. The campaign seeks to treat black males like Lani Guinier’s “miner’s canary,” a critical signal to our society that we cannot exclude and subjugate broad segments of our citizenry without damaging democracy and open society values for all. Through the campaign, U.S. Programs seeks to confront a formidable challenge to an open society.